Little M and I are working our way slowly but steadily though the Time Magazine’s Top 100 books for Children. 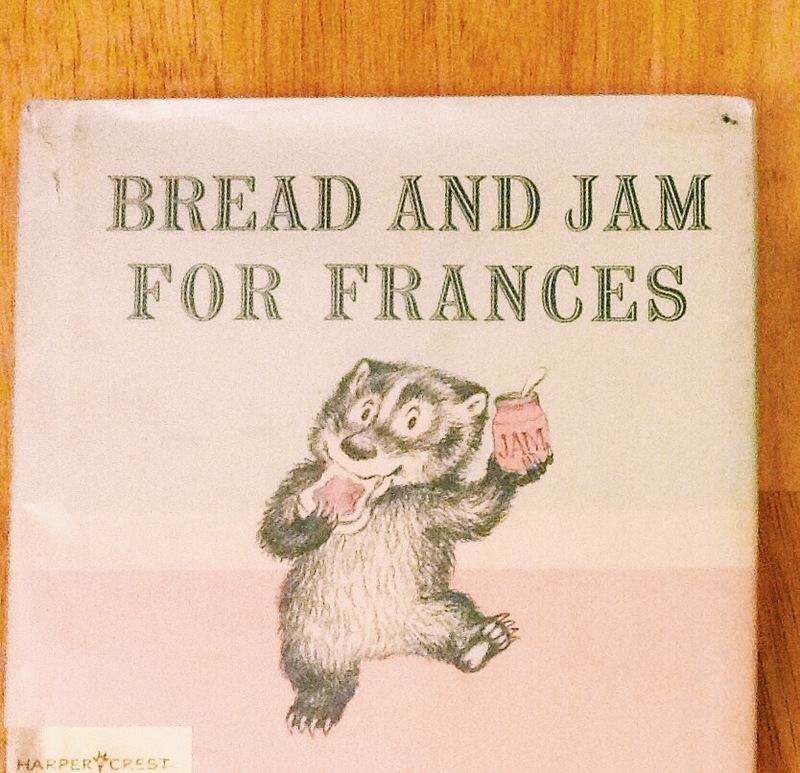 We particularly enjoyed Bread and Jam for Frances by Russell Hoban. Main Characters: Frances (the Badger), Mother Badger, Father Badger, baby sister Gloria and schoolfriend Albert. Short Synopsis of Story: Frances the Badger is a picky eater. When her Mother gives her eggs for breakfast she chooses to eat her favourite food- bread and jam instead. She prefers to eat the same for dinner that night in lieu of breaded veal cutlets with string beans and baked potatoes. In fact, Frances is so in love with bread and jam that she exchanges her school lunch of chicken salad sandwich for bread and jam. Her parents decide to teach her a lesson. The next day for breakfast, lunch and dinner Frances is given nothing but bread and jam. Faced with no alternative Frances comes to the conclusion that although she loves bread and jam she does not want to eat it at every meal. The turning point comes when at dinner that night Frances cries and asks for spaghetti and meatballs instead of bread and jam. Favourite Part of the Story: The illustrations in this book are just adorable. I particularly enjoyed the descriptions of food in this story. Especially the section where Frances’s friend Albert unpacks his elaborate lunch at his school desk and eats every part of it with great relish. He took a bite of sandwich, a bite of pickle, a bite of hardboiled egg, and a drink of milk. Then he sprinkled more salt on the egg and went around again… He ate his bunch of grapes and his tangerine…He set the cup custard in the middle of the napkin on his desk… He shut his lunch box, put it back inside his desk, and sighed. “I like to have a good lunch,” said Albert. Conclusion: My three year old loved the story and kept pointing to the pictures asking to hear about the food descriptions again and again. Four out of five stars.